21 KANATNA STR. / 41 HETMAN SAGAIDACHYI STR. Sunflower seed (lat. Helianthus) — sort of plant of Asteraceae. Prodexim LTD — is one of the biggest producers and exporters of agricultural commodities in Kherson oblast. 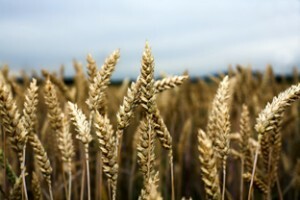 Cultivation of grains and oilseeds in Kherson oblast. Prodexim Ltd was founded and has been succsessfully working since June 30, 2000. Prodexim LTD is one of the biggest producers and exporters of agricultural products (wheat, barley, corn, peas, sunflower etc. ) in Kherson oblast. As it develops, the company is gradually expanding the geography and scope of operations. The main goal of “Prodexim LTD” is maintaining leading positions both on the domestic market and on the international market of agricultural products, guaranteeing high quality and positive image of our project’s commodities, as well as assuring full traceability of our organic commodities from field to end product. © 2000—2019 | Prodexim Ltd.